﻿ John 14:9 Jesus saith to him, Am I all this while with you, and hast thou not known me, Philip? he that hath seen me hath seen the Father; and how sayest thou, Shew us the Father? Jesus saith to him, Am I all this while with you, and hast thou not known me, Philip? he that hath seen me hath seen the Father; and how sayest thou, Shew us the Father? Jesus said to him, "Have I been among you all this time without your knowing Me, Philip? The one who has seen Me has seen the Father. How can you say, 'Show us the Father'? "Have I been with you all this time, Philip, and you still do not know me?" Jesus asked him. 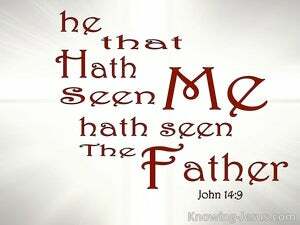 "The person who has seen me has seen the Father. So how can you say, "Show us the Father'? 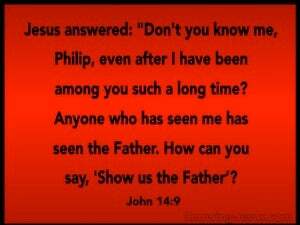 Jesus says to him, Have I been so long a time with you, and thou do not know me, Philip? He who has seen me has seen the Father. And how can thou say, Show us the Father? Jesus saith unto him, Have I been so long time with you, and dost thou not know me, Philip? he that hath seen me hath seen the Father; how sayest thou, Show us the Father? Jesus replied, Have I been with all of you for so long a time, and do you not recognize and know Me yet, Philip? Anyone who has seen Me has seen the Father. How can you say then, Show us the Father? Jesus replied to him, "Have I been with you men all this time, and [still] you do not know me, Philip? The person who has seen me, has [also] seen the Father. How can you say, 'Show us the Father'? Jesus said to him: Have I been so long with you, and have you not known me, Philip? He that has seen me, has seen the Father; and how say you, Show us the Father? Jesus said to him, Philip, have I been with you all this time, and still you have no knowledge of me? He who has seen me has seen the Father. Why do you say, Let us see the Father? Jesus said to him, "Have I been with you so long, and yet you do not know me, Philip? 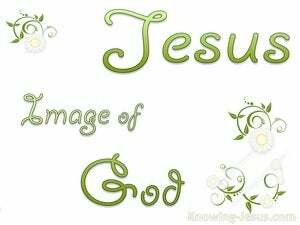 He who has seen me has seen the Father; how can you say, 'Show us the Father'? Jesus said to him, have I been with you so long, and don't you know me yet? Philip, he that hath seen me, hath seen the father; why then do you say, shew us the father? Jesus says to Him, Am I so long time with you, and hast thou not known me, Philip? 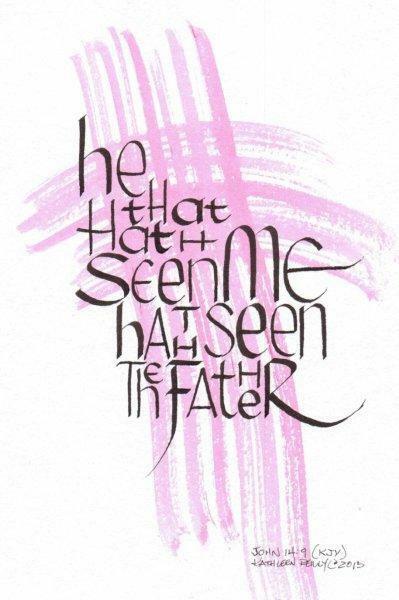 The one having seen me hath seen the Father: how do you say, Show us the Father? Jesus said to him, "Have I been with you so long, and yet you, Philip, have not recognized me? Whoever has seen me has seen the Father. How can you say, 'Let us see the Father'? Jesus saith to him, Have I been so long with you, and hast thou not known me, Philip? He that hath seen me, hath seen the Father: and how sayest thou, Shew us the Father? Jesus said unto him, Have I been such a long time with you, and yet thou hast not known me, Philip? 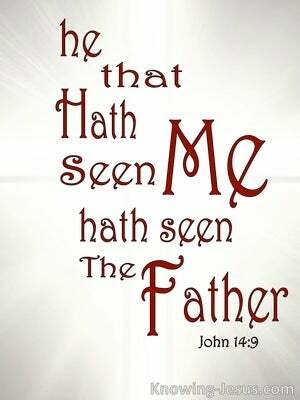 He that has seen me has seen the Father; and how sayest thou then, Show us the Father? Jesus said to him, Have I been with you such a long time and yet you have not known Me, Philip? He who has seen Me has seen the Father. And how do you say, Show us the Father? Jesus said unto him, "Have I been so long time with you: and yet hast thou not known me? Philip, he that hath seen me, hath seen the father. And how sayest thou then, Show us the father? Jesus said to him, "Philip, have I been with you all this time, and yet you do not understand me? He who has seen me has seen the Father. What do you mean by saying, 'Let us see the Father'? "Have I been so long among you, and yet you, Philip, have you not recognized me? He who has seen me has seen the Father. How can you say, 'Cause us to see the Father'? Jesus replied, "Have I been with you for so long, and you have not known me, Philip? 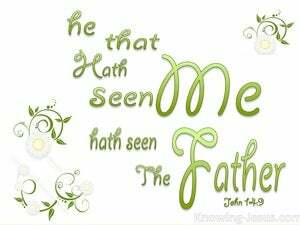 The person who has seen me has seen the Father! How can you say, 'Show us the Father'? Jesus saith to him, Have I been so long time with you, and dost thou not know me, Philip? He that hath seen me hath seen the Father; how is it that thou sayest, Show us the Father? Jesus said to him, Have I been so long a time with you and have you not known me, Philip? He that has seen me has seen the Father; and how say you, Show us the Father? Jesus saith to him, Have I been so long time with you, and yet hast thou not known me Philip? he that hath seen me, hath seen the Father; and how sayest thou then, Show us the Father? "Have I been so long among you," Jesus answered, "and yet you, Philip, do not know me? He who has seen me has seen the Father. How can *you* ask me, 'Cause us to see the Father'? Jesus said to him, "Have I been with you disciples so long, and yet you, Philip, have not recognized me? Whoever has seen me has seen the Father. How can you say, 'Let us see the Father'? Jesus saith unto him, Have I been so long with you, and dost thou not know me? Philip, he that hath seen me, hath seen the Father: and how then dost thou say, Shew us the Father? Jesus saith to him, 'So long time am I with you, and thou hast not known me, Philip? he who hath seen me hath seen the Father; and how dost thou say, Shew to us the Father? 8 Philip saith to him, Lord, shew us the Father, and it sufficeth us. 9 Jesus saith to him, Am I all this while with you, and hast thou not known me, Philip? he that hath seen me hath seen the Father; and how sayest thou, Shew us the Father? 10 Dost thou not believe that I am in the Father, and that the Father is in me? the words which I speak unto you I speak not of myself: but the Father, who dwelleth in me, he performeth these works. And he that seeth me, seeth him that sent me. Then addressing him, he said, O faithless generation, how long shall I be with you? how long shall I bear with you? bring him to me. Ye hypocrites! ye know how to discern by experience from the appearance of the earth and of the sky; but how is it that ye do not discern this particular time? And the Word became incarnate, and tabernacled with us, (and we beheld his glory, the glory as of the only begotten of the Father,) full of grace and truth. If ye had known me, ye would have known my Father: and from henceforth ye know him and have seen him. In that day ye shall know that I am in the Father, and ye in me, and I in you. But if Christ be preached that he rose from the dead, how say some among you, that there is no resurrection of the dead?